The Dodge Window Sticker provides lots of useful information about what the vehicle was like when it was new. It is helpful when shopping for a new or used car or truck. The Dodge Window Sticker shows the detailed specifications of the car or truck as it rolled out of the factory. It includes standard exterior, interior, functional, safety, and security features. It is also includes factory installed optional equipment and features. It does not include extra equipment installed by an owner or dealer after it left the factory. The Dodge Window Sticker shows the Total MSRP (Manufacturer's Suggested Retail Price), which is Dodge's suggested retail price of the vehicle when it was new, including all the options and delivery charges. 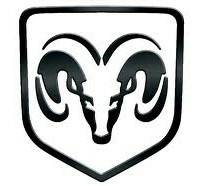 Show off your Dodge Window Sticker on places such as Facebook, Twitter, and Craigslist. Simply copy the URL in the box below and then paste it into webpages, text, and so on. Press the "Email Window Sticker" button below to send the sticker to a friend or potential buyer, etc.